Where does the week go? I'm not too fussed though, I can see the end of the working week in the distance - which means it's time to start kicking back and relaxing on the Isle of Wight! The Isle of Wight Cycling Festival is reaches it's climax this weekend with many events taking place. 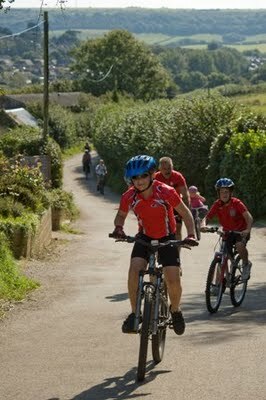 On Saturday, the Great Island Challenge is on - teams learn to crew a yacht and take it around the Isle of Wight, and then if that wasn't enough, they then cycle around the Island! The Hills Killer Challenge is on Sunday - take your pick of 3 Hills, 7 Hills or the massive 14 Hills challenge - not one for the faint-hearted! 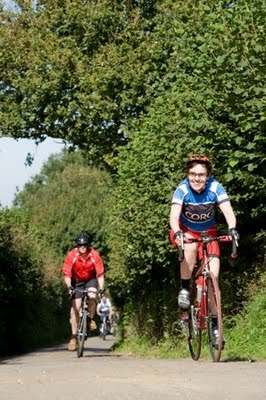 Sunday also sees the Recycle The Island event - with two routes to choose from, it's an ideal way to support the Hampshire and Isle of Wight Air Ambulance service. 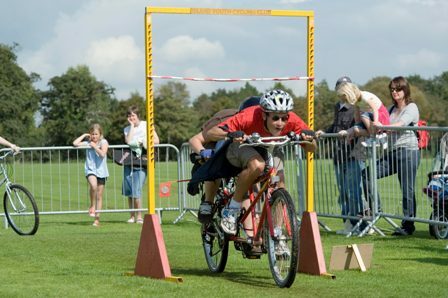 Along with a variety of other cycle related events, it brings this year's Isle of Wight Cycling Festival to a close - but that isn't all on the Isle of Wight this weekend! As part of British Food Fortnight, Arreton Barns are holding their annual Sweetcorn Fayre, including an attempt at the record for the world's largest sweetcorn fritter! Alongside other sweetcorn recipes and a host of food stuffs, including local ales (I know where I'm off to this weekend! ), the Sweetcorn Fayre will also be holding the Farmer Jacks' Sausage competition to decide the Isle of Wights' best sausage... It all happens this weekend at Arreton Barns! The Isle of Wight Steam Railway are holding their annual Wine Festival this weekend too - whether you have a nose for fine wine, or just enjoy the grape, then this is for you - wines from around the world and closer to home are on offer - all set in the ambience of a genuine steam railway station! WightStay is the ideal way to search for your place to stay on the Isle of Wight - with many great hotels, bed and breakfasts, camping or caravan sites - stop to take a look at what we have to offer - and start enjoying your holiday on the Isle of Wight! Now then, which first, sweetcorn or sausages, the beer or wine?